Box patties, the name itself rings in your ear, doesn’t it? You must be wondering is it a box or a patty ;) The unique and interesting name is because of the way the these patties are folded and made, like wrapping a box. 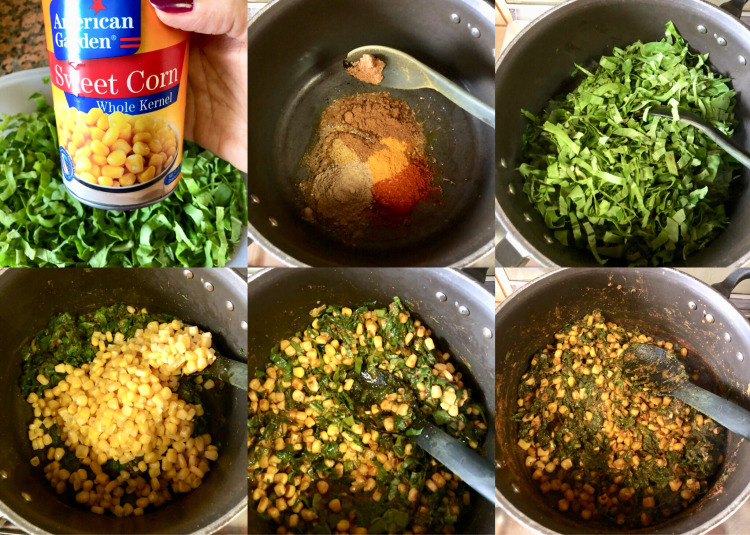 The recipe is sooo sooo easy and simple that definitely it’s worth trying. This is one snack which is liked by kids as well as elders. If you don’t agree with me just tell your kids, “Today I am planning to make Box Patties”. I am sure this one line from you will bring a broad smile on their faces. And it will push you to your kitchen to try out this recipe. -Just a little tweak here and there is required get a new twist every time to this recipe. 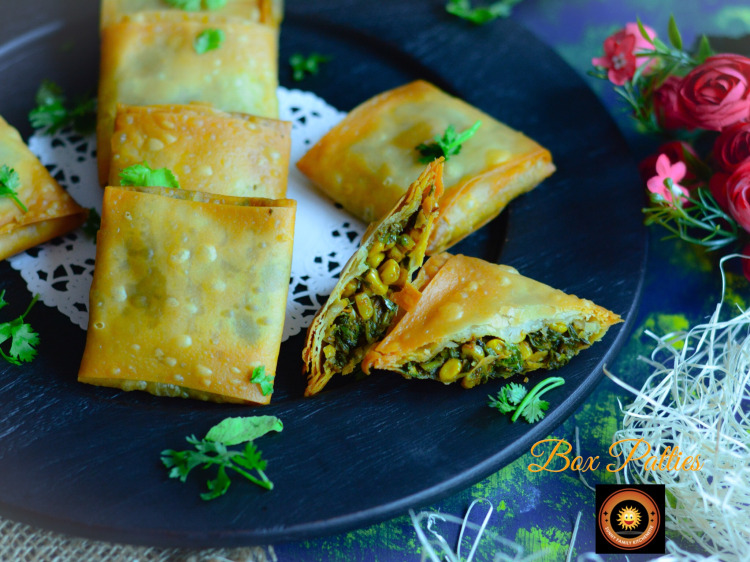 -Equally good as an evening snack, lazy weekend breakfasts, party appetizer or for your kids tiffin too. 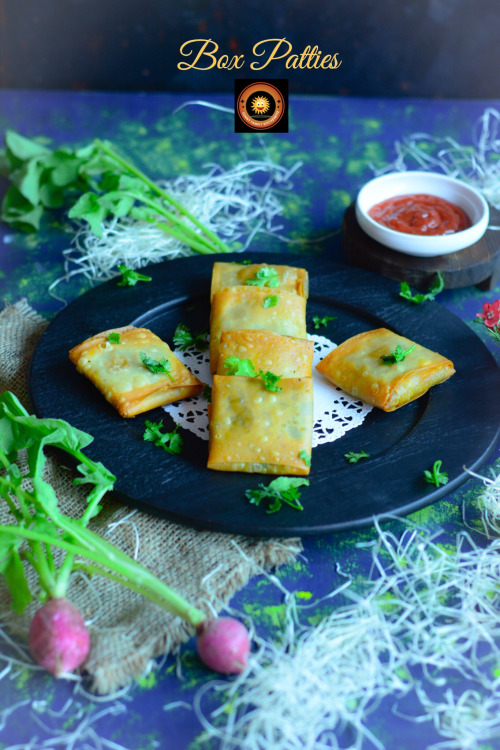 The best part is if you have fussy kids at your place who are reluctant to eat veggies, you can hide the veggies in these patties and you are guaranteed to see empty tiffin boxes. 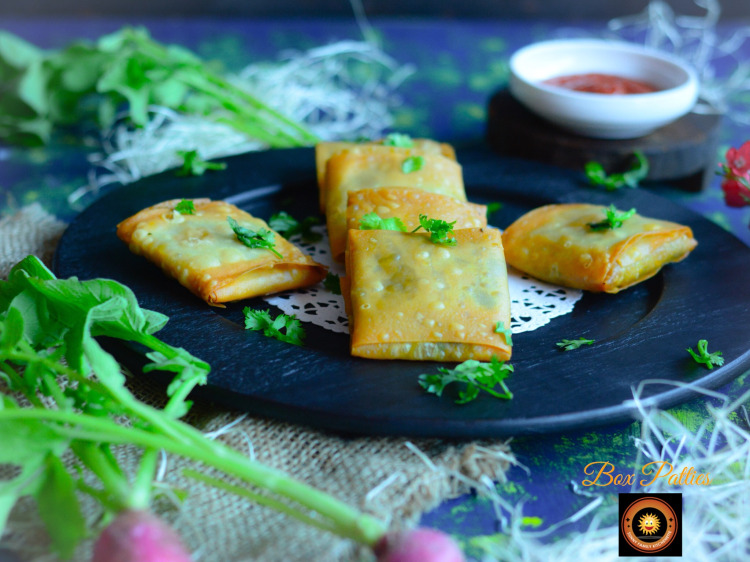 To make these box patties, vegetables mixed with some basic spices which are easily available in your kitchen are stuffed inside the samosa patty sheets, rolled in an interesting way and shallow fried. 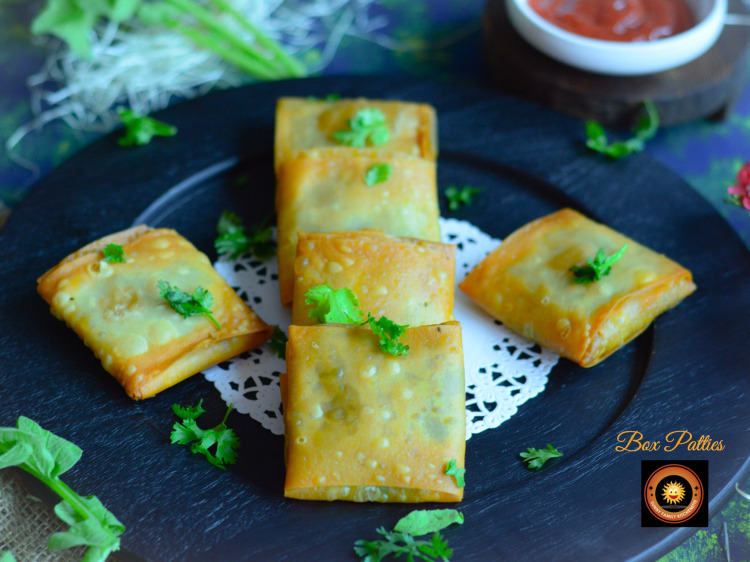 You can even bake them if you are not a big fan of fried food, and keep your preparations towards the healthier side. 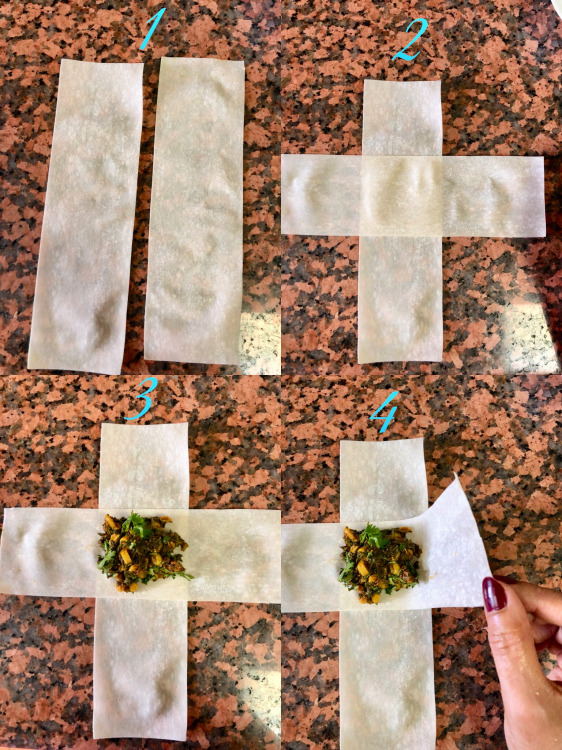 The preparation of stuffing is just very simple. 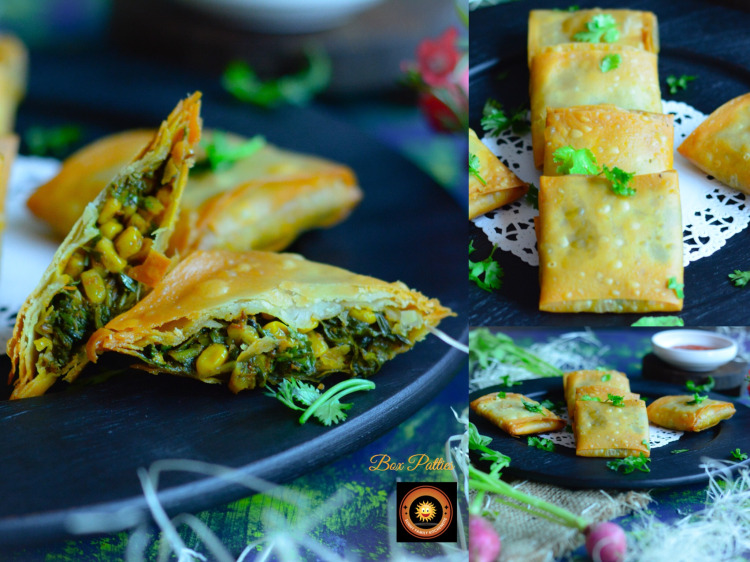 Today I have made them with super healthy and nutritious spinach and corn with some spices. Sometimes I make them with mix veggies, potato or cottage cheese too. 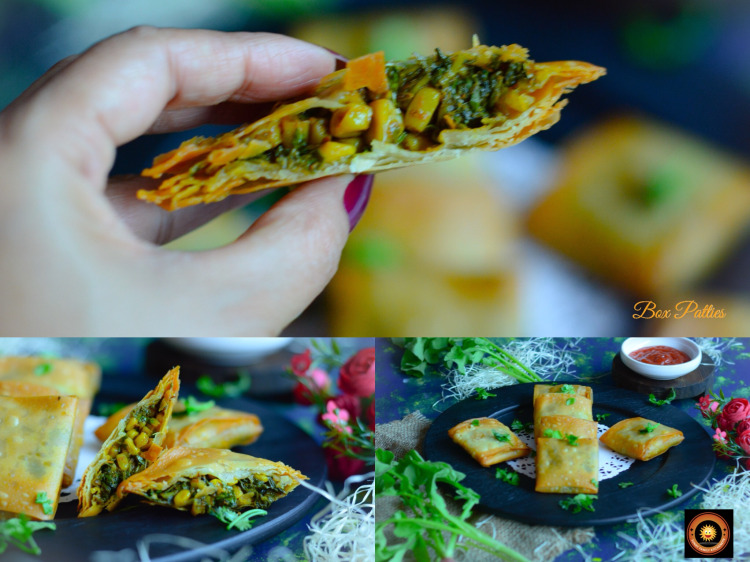 Let’s see how to make this simple and ever scrumptious recipe. Start by sorting, washing and chopping the spinach. Add in cumin seeds and let them splutter. Add in all the masalas. Next, add chopped spinach and drained corn. Give it a good mix and let it cook on low heat for 4-5 minutes. Keep it aside and let the mixture come to room temperature. Place one strip vertical and place the other one horizontal over it(ie it should be a cross see pic), like a + sign. Apply a drop of paste in the center then place the other strip. 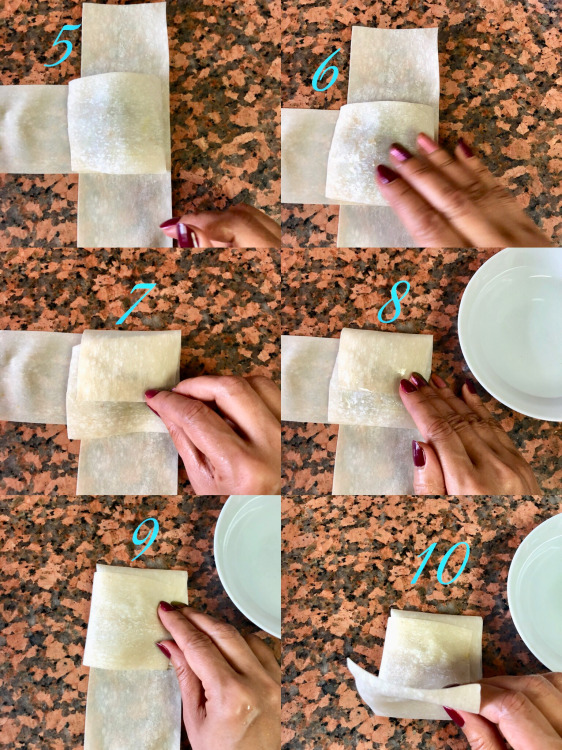 Place about a tablespoon of filling in the center, that is on the part where two strips are crossing each other. Then start folding the patty sheets in anti clockwise direction. 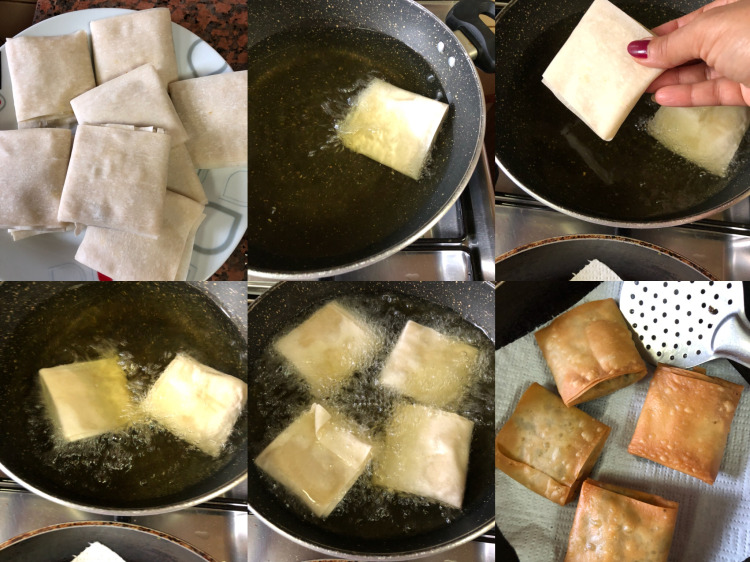 Continue with the folding and applying the water on each fold. Here is a perfect box. Make all the box patties and keep aside. Deep fry them in hot oil on medium flame till nice and golden. Remove on an absorbent paper. Serve them hot with Tomato Ketchup or Green Chutney.